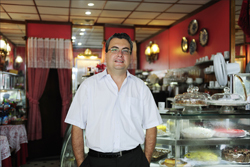 As the owner of a small business, what would you do if an employee asks you for a personal loan? There is no one answer that fits every case. Yours can depend on a number of factors and considerations. It also can open a can of worms, but first things first. You can begin your answer by asking your worker a few questions: Why do you need a loan? What happened to put you into this financial situation? Are you prepared to make this a gift rather than a loan? The money may not come back. Do you have serious concerns about being repaid? If you aren't repaid, will the loss hurt you or your business? What happens if you need to terminate the employee before the loan is repaid? Will you be setting a precedent and become an easy mark for other employees seeking loans? Do you want to have the business lend the funds or make it a personal loan? It's true that the owners of many small businesses, as well as their employees, consider themselves as "family." But is it a good idea to make loans to "family" members? The answer to this question may surprise you. While some parents think it is not a good idea to make a loan to a son or a daughter, some small-business owners think differently. One, an electrical company owner in Maryland, actually thinks it's a good idea to make personal loans to employees – interest-free! This owner says the employees almost always pay him back, even if they eventually leave his employment. If you decide to lend funds to an employee, be sure that the employee signs a promissory note to repay the loan. The note should spell out repayment terms (frequency of payments, interest rate, what happens in case of a default, etc.). There are many templates online that you can use to create a binding promissory note, but you might want to check with your attorney to make sure you protect yourself. Be sure to carry a loan from your business as such on your books. This ensures that loan repayments from an employee won't be reported as income. If you want to consider making a low-interest or no-interest loan, keep the below-market loan rules in mind for tax purposes. If your business lends money to an employee and fails to charge interest at the applicable federal rate, or AFR (an interest rate set monthly by the IRS and which varies according to the length of the repayment period), you are treated as having received phantom income (the uncharged interest, which is the difference between the AFR and interest, if any, that has been charged). This must be reported as income for your business. However, there is an exception: There's no imputed interest if the loan is below $10,000 and avoiding taxes is not the main purpose of the loan arrangement. And, if you personally lend the money, different rules apply to so-called gift-loans. Currently, AFRs are low due to the low-interest environment, but if the Federal Reserve acts to raise interest rates in the future, expect to see AFRs also rise. Make sure any request for money is backed by a reasonable business plan and the skills needed to make it succeed. If you agree to their request, fully discuss the terms. 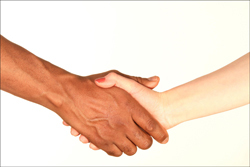 Emphasize that this is a loan–not a gift–and agree on terms for repayment. Put it in writing. Having a contract can help avoid family tension and a potential estate planning debacle. And you'll all live more happily ever after.